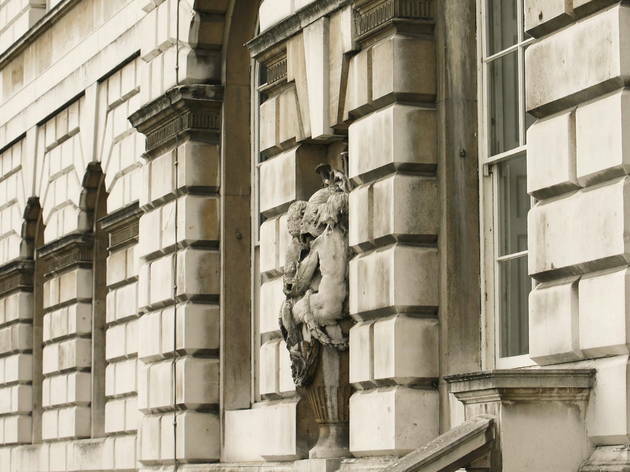 The original Somerset House was a Tudor palace commissioned by the Duke of Somerset. In 1775 it was demolished to make way for an entirely new building, effectively the first purpose-built office block in the world. Today it houses a formidable art gallery (the wonderful Courtauld), a beautiful fountain court, a terraced café and a classy restaurant. Having replaced the Hermitage Rooms and Gilbert Collection on the river side of the building in April 2008, the new Embankment Galleries explore connections between art, architecture and design with a series of temporary exhibitions; downstairs a ceremonial Thames barge illustrates the venue’s history. 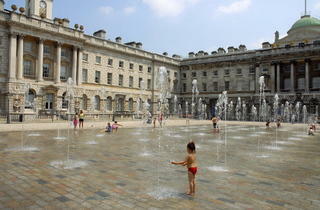 In summer, children never tire of running through the choreographed fountains. 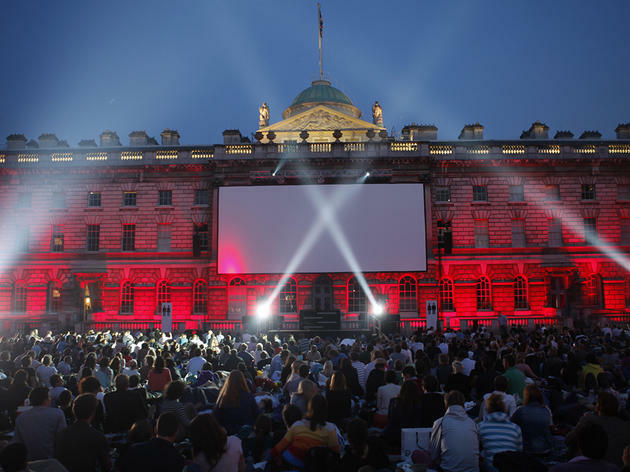 Family workshops take place at weekends and holidays, and in recent years Somerset House has hosted an outdoor film screen in summer and a wonderfully atmospheric ice-rink in winter. 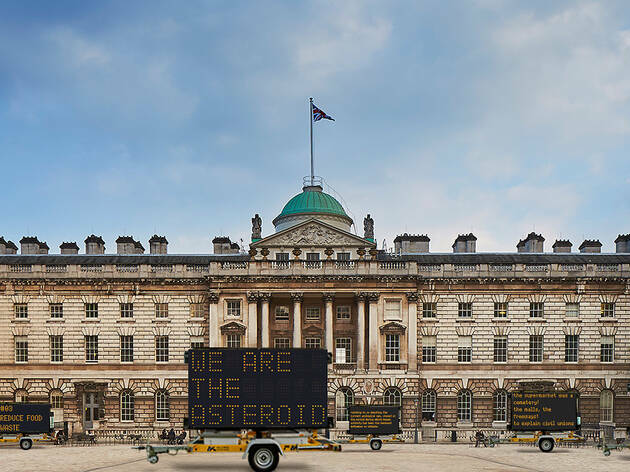 This open-air installation brings together the world’s leading ecological voices, including 16-year-old Swedish activist Greta Thunberg and author Zadie Smith, and turns their thoughts into enormous, solar-powered LED signs. One of London's most innovative museums, I love the amount of thought they put into offering as much diversity as possible. There really is something for everyone (and many exhibitions are free) but it's also a great place just to sit and people-watch. I love the Somerset house. Not only do they hold exhibitions here all year round. They also have one of the best I've skating rinks in London. My friends and I came here to skate and I found the ice and blades the best I'd come across. I was able to glide across the ice like a pro lol. Though it's seasonal it's not to be missed. The Peronist bar on the riverside terrace is a wonderful hidden venue at the back of Somerset House by the river. This bar with a canvas roof, romantically lit with pot plants and little tables is a wonderful post-work escape. The staff are friendly but professional, the service spot on, and the pizzas are incredibly satisfying. I hear it gets very busy on a Friday/weekend so head down earlier on in the week for your pick of a table and a relaxed special little getaway. I had never been to a concert here before, and was a bit dubious about how good the sound would be next to London's busy roads but how wrong was I! Being surrounded by incredible acoustics and even more appealing architecture made for a concert experience unique, and different to the usual live music experience. I'm forever looking at the Somerset House programme, eager to see what's on around times that I am free. A versatile place according to the season. Playful in winter with a big ice rink at the center of the courtyard. Lazy in summer, with a pop-up Peroni bar to sip beers under the sun. I often go with a book to drink a coffee outside. 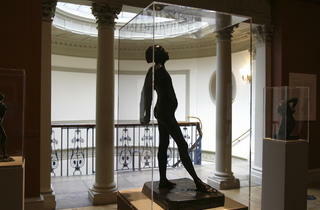 They also have great exhibitions to visit. They usually have one of them for free. I know they host concerts in summer and it is definitely on my bucket list. There is a really cool "game" exhibition on at the moment (ground floor main lobby) which my friend and I discovered on bank holiday Monday which showcases some of the old school and traditional games of past generations. It's quite interactive and there's one room set up with chess boards from around the world that you can try your hand at. We played a game of traditional chess (I won). It's actually a really fun way to spend 20 minutes before you perhaps go to one of the paid exhibitions. Somerset house is such a beautiful looking building. 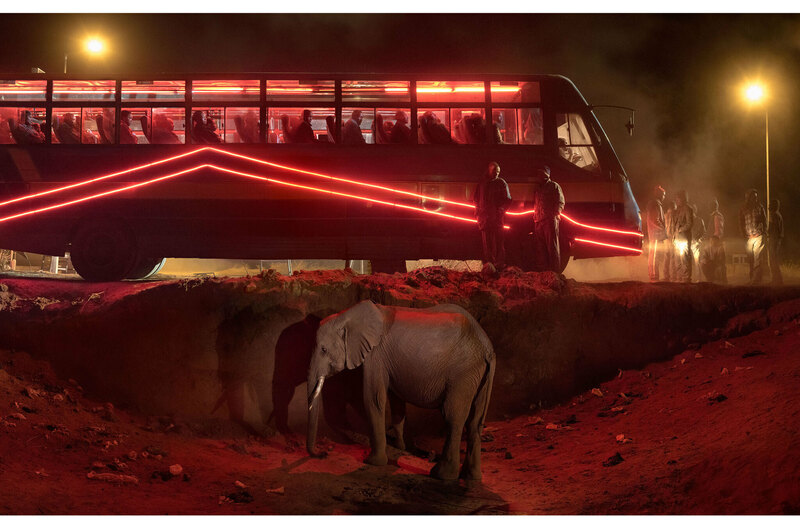 I went to see the photography exhibition of Malick Sibede and was really impressed. I didn't get to explore as much as I would have liked and thought there could have been a bit more information to guide visitors around but I will definitely be looking out for more shows in the future and would love to visit during the festive season. 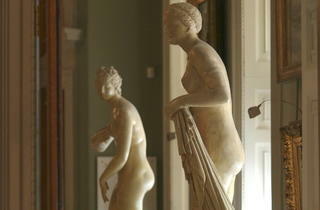 OK I LOVE Somerset House, it is like a serene hub of art and fashion and beautiful things. I've been many times over the years...ad hoc arty exhibitions, working at London Fashion Weekend, shooting bloggers at London Fashion Week (before it moved), Isabella Blow exhibition, numerous drinking debacles on the terrace over-looking the River Thames in summer. But the pinnacle of the Somerset House calendar is surely Christmas? This beautiful building becomes home to a giant Christmas Tree - this year sponsored by Fortnum & Mason and a festive ice skating rink. What more could you want? Head to South Bank afterwards for more festive cheer. Found this fascinating exhibition completely by accident when trying to escape the cold! We loved the playful, interactive nature of the experience. Very colourful and interesting- it really made us think! I was very interested in the language that has been invented to create a little world in this delightful collection of works- make sure you get a "code breaker" post card by the door and you'll be a native "Utopian" speaker by the time you leave! Great venue to visit or to go for a concert. Great in summer time also in winter. Definitely a place to visit in central London. Very interested!! Really beautiful place. 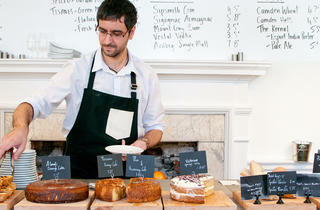 You'll like you are in the heart of artsy and creative London. (not too hipster or too posh). 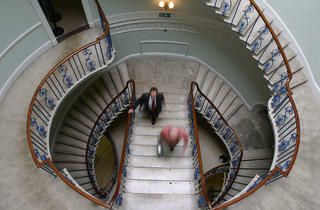 I love to hang out at somerset house and check out new exhibitions. Many times there quite small, but worth it. 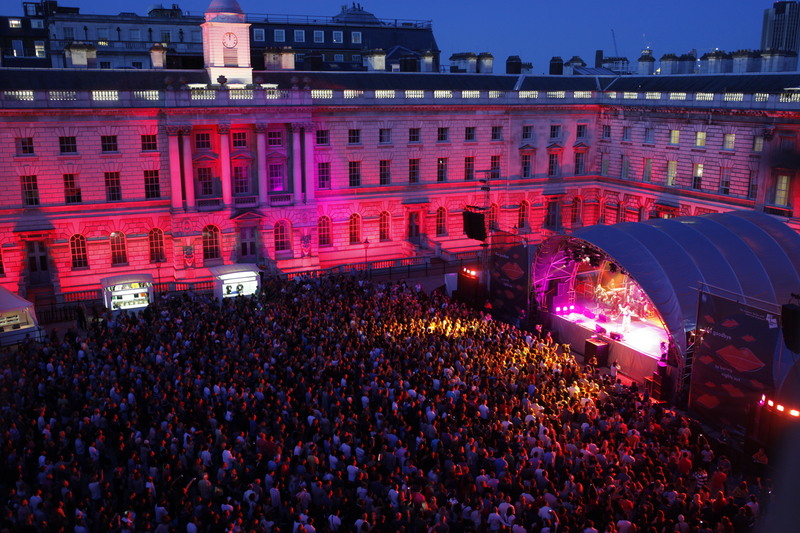 Somerset house also organises summer music festival, which are always worth having an eye at. The sound is pretty good and they have an amazing atmosphere!! Long queues and a lot of security is something you will have to be prepared for. 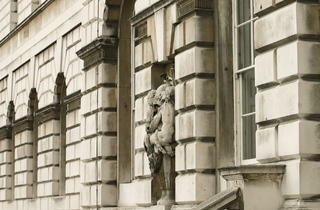 Somerset House is a fantastic museum in Central London, that surprisingly not everyone has heard of. Apart from being a wonderful building, it usually hosts amazing exhibition (I've seen one dedicated to Egon Schiele, really well done). I know they also organise concerts there, and looks like a great surrounding for music. Even if you're not a fan of museums, you can still step into the courtyard and have a coffee there, on a sunny day it's such a pleasant break from the chaos of the Strand! Another amazing thing to be done there over Christmas is ice skating! 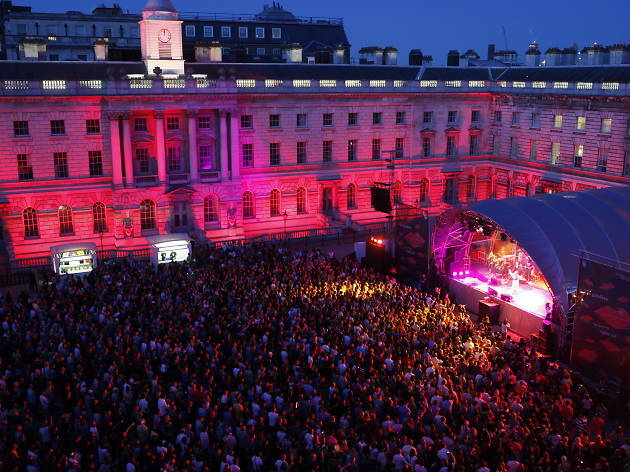 Somerset House is the best place to do it, so beautiful, and the DJs are amazing - last time they played really cool stuff like Bjork and Radiohead. I was so surprised. I think this is one of those places in London where tradition and innovation melt perfectly, which is something so peculiar of this city! Well worth a trip at Christmas time to go skating, also normally plays host to a number of bands in the summer making for a uniquely intimate and historic venue. The perfect combination of old and new, historical and present, timeless yet dynamic. Somerset house encumbers all this and more. 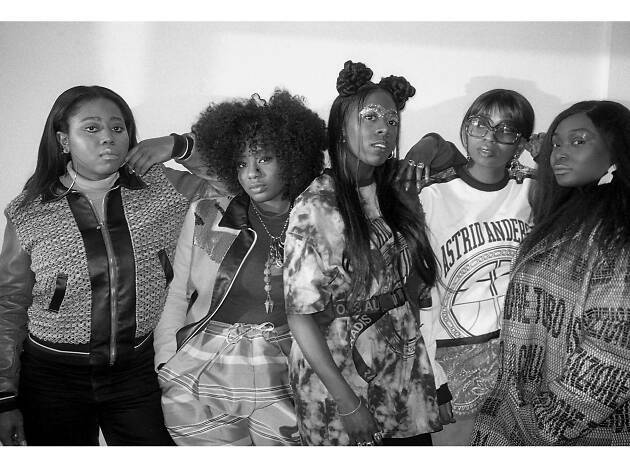 From summertime gigs, to winter wonderland of ice skating and. Ever-changing exhibitions, it's the place where I take a minute and breathe in the world around me. I discovered it in my first week in London, nearly a year ago, and said yes to go to a gig there, mostly because of the feeling it gives me. Halfway through listening to Angus and Julia Stone, I realized I'm in London for this. I'm in London to discover more about the world and more about me. Somerset House is my favourite place in Central. Even just standing in the empty courtyard gives me a thrill. Maybe it's the architecture, maybe it's the vibe, maybe it's the history - whatever it is, I keep on coming back. There are lots of great exhibitions that pop up here: I've seen one on The Jam, the annual Secret 7' vinyl exhibit, and another on Blondie and the NY Punk scene of the 70s there amongst others. Lots of great stuff happens on an annual basis, too, with ice skating in the winter and concerts in the summer. Fabulous and some of the exhibits and events are free! I recommend coming here for the Summer Series in July. I came here last year and the atmosphere was honestly incredible! Live music in the open-air courtyard in one of London's historic buildings is something you don't often get to experience. 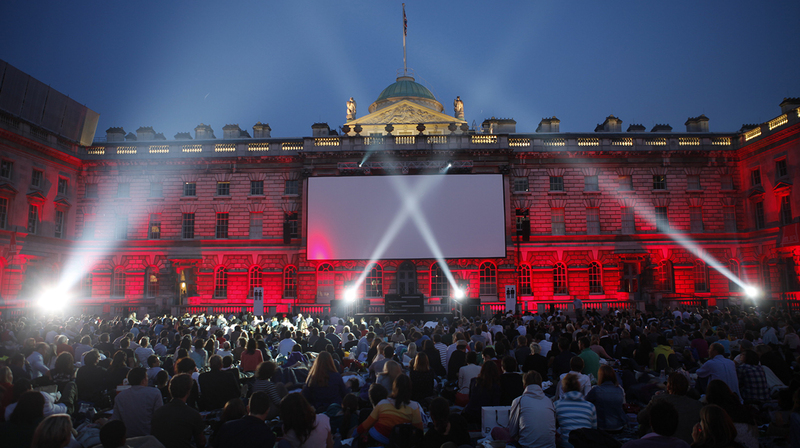 If you're into films, then the open-air cinema may be one to get involved with this summer! You can also catch contemporary art, fashion and design exhibitions here throughout the year, some of which are free so check the website. If you enjoy arts, culture and photography then definitely make a trip here. It is a stunning piece of architecture, especially so at dusk when it is lit. 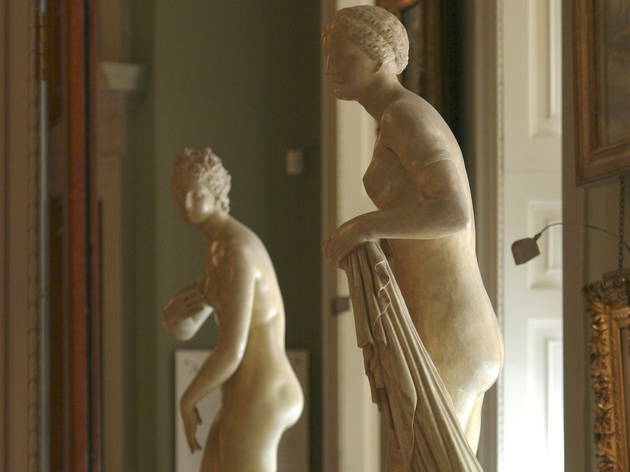 The Courtauld Institute of Art, part of the Somerset House, has one of the world's most respected collection of modern art. They also put on blockbuster exhibitions all year along. The historic building itself is a beautiful sight and there's so much going on that I never get bored photographing the building and it's people. 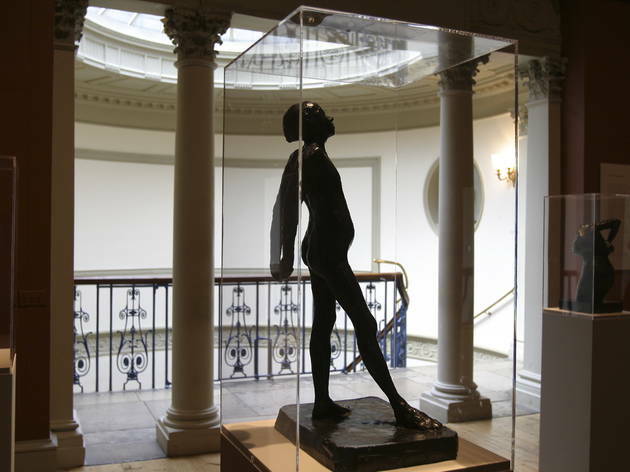 The exhibitions are changing and some are free. I came here for the Tintin exhibition - although small it was delightful collection of works. Beautiful Building! The setting by the Thames is particularly picturesque. Hosts a range of exhibitions, concerts and film screenings - always something worth visiting going on. 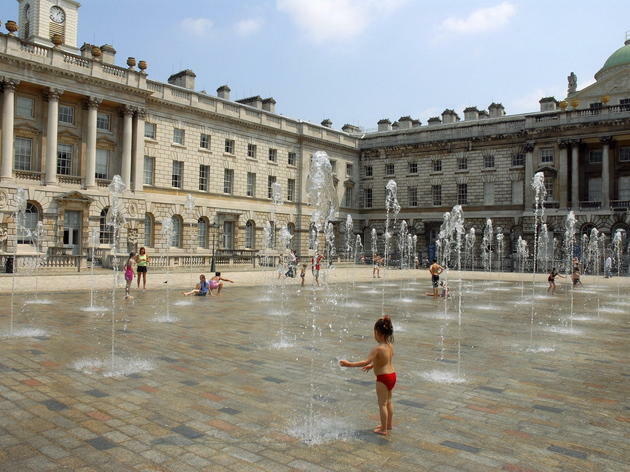 Somerset House is a place where you can easily spend pretty much a whole day. 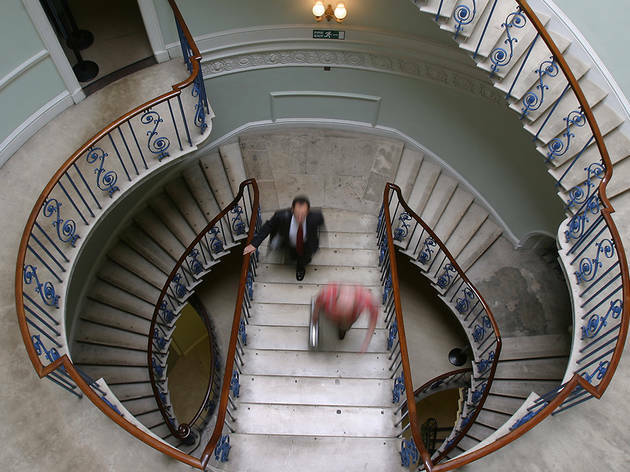 Start at the Courtauld Gallery right before you enter the beautiful courtyard. There are a few absolute masterpieces here and usually a great temporary exhibition, too. 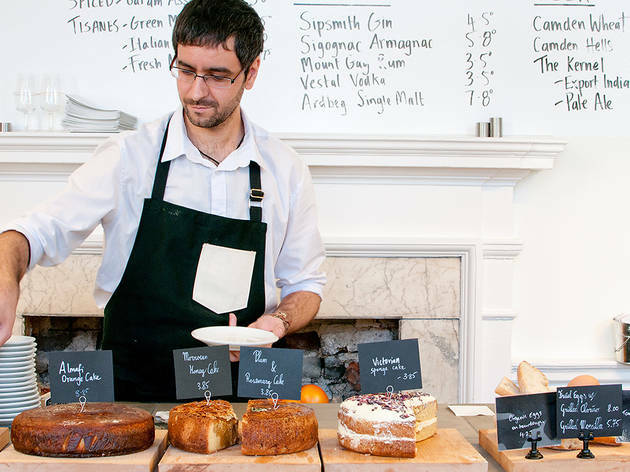 Afterwards you could head inside the main wing for a lunch or coffee break at Tom's Kitchen, which has a great selection of fresh food, coffees and drinks. 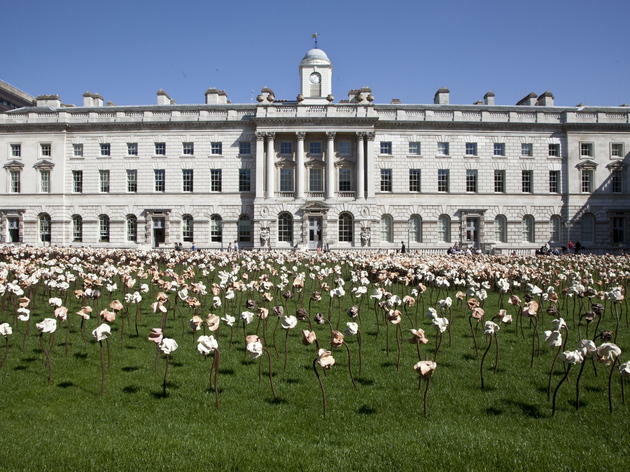 Resume your cultural visit after lunch by visiting one of the temporary, often very contemporary and experimental exhibitions at Somerset House. 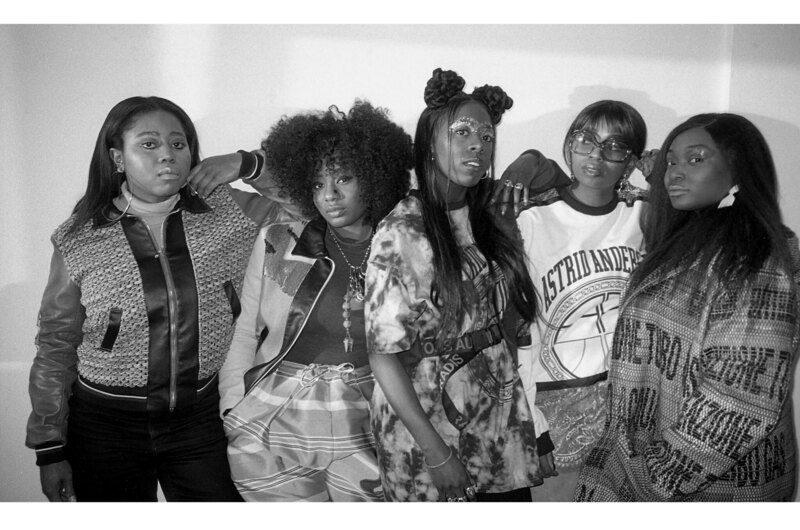 Most often, there are exhibitions associated with fashion and photography which are amazing. From the 17th - 19th centuries, Japan’s poor were allowed only to wear dark blue, brown and grey. Brighter colours were reserved for the wealthy ruling elite, as were luxury fabrics, like cotton. When the rich threw away their clothes, poor people gathered together the scraps and stitched them together to make bedspreads. 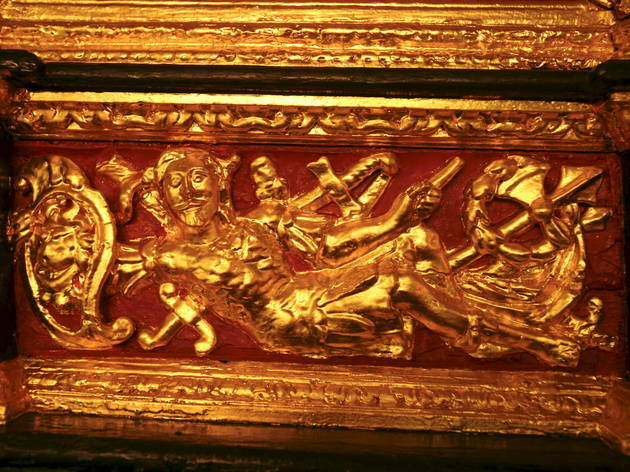 The result (Boro) is the subject of this exhibition. If this sounds niche to the point of obscurity, you’d be right. The exhibition offers a fascinating glimpse into the history of one of the world’s most insular nations. However, from an artistic point of view, there is little to be gained. These are scraps of fabric, dyed blue and hastily quilted together to provide relief from Japan’s cold winter nights. In an attempt to justify the exhibition, or possibly to break up the monotony, the curator has overindulged considerably with the interpretation. A whole panel is devoted to how modern artists, name-dropping eight of them, could have been influenced by Boro (‘Paul Klee would have been delighted by them’) before acknowledging this did not happen. 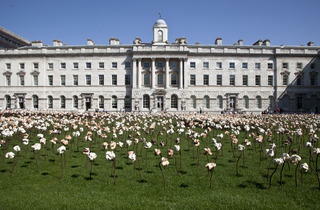 It’s worth a quick look if you’re at Somerset House, but definitely not worth a special trip. 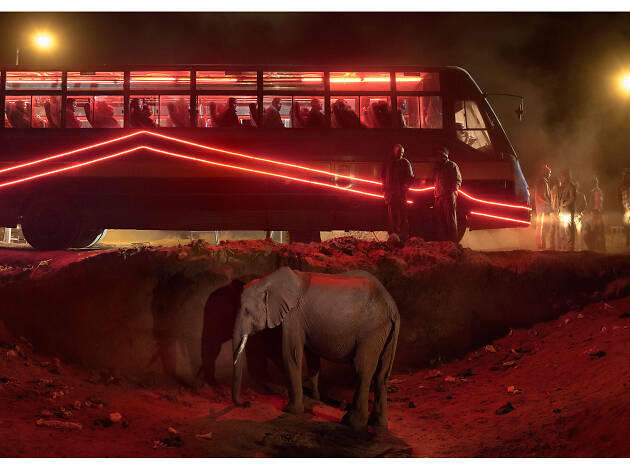 Saw the Sony World Photo Awards here which was fantastic. 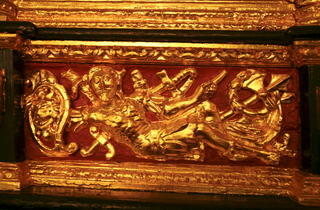 The permanent exhibition is worth a look as well. Always stunning, and has some classics in the gallery. 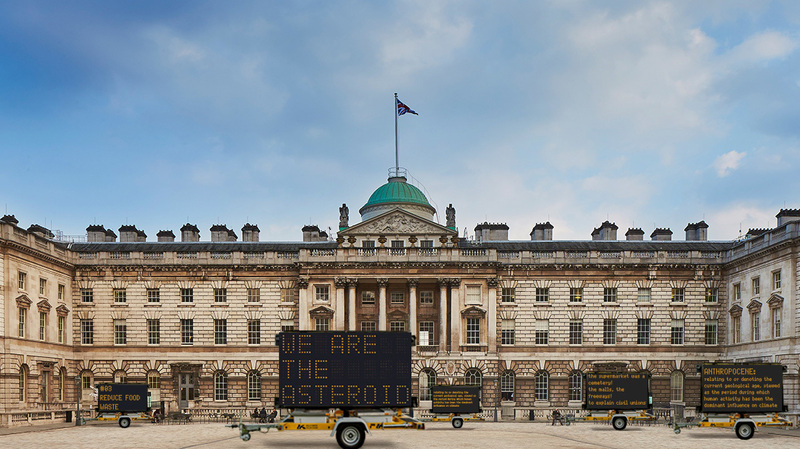 Indeed Somerset house has more happening then most people visiting London would realise. It is a true hidden jem which is ironic because it is also one of the larger buildings that are open to the public. A beautiful historic hosting some very up today events. As well as the family workshops a number of events for adults have been run in the evening which have been very well recived. An evening of no presure creative play with a glass of wine in one hand accompanied by sounds from chilled DJ's is a very plesent way to pass the time.